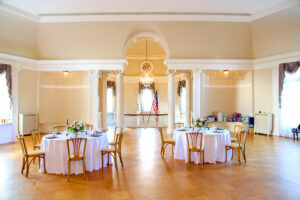 The Congressional Club was designed for social events like weddings. 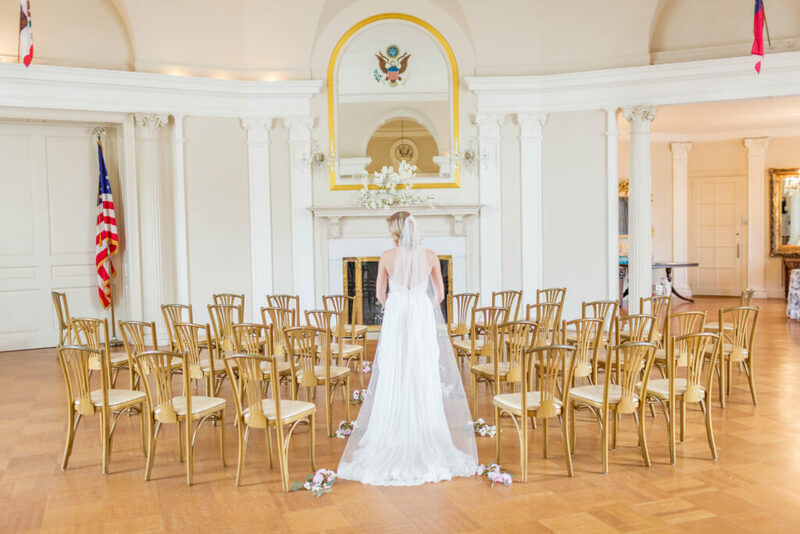 Steeped in the District’s and the nation’s history, the Club offers a variety of rooms and settings for the ceremony and the reception. 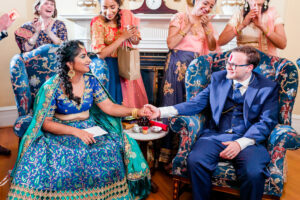 MTG has compiled a brief room-by-room guide to help couples navigate the club as they plan their Congressional wedding day. The ballroom . 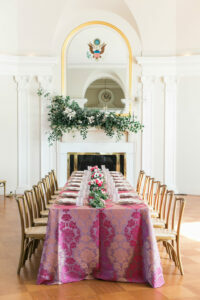 There are two great options for room set-up; both take advantage of the room’s spectacular details. 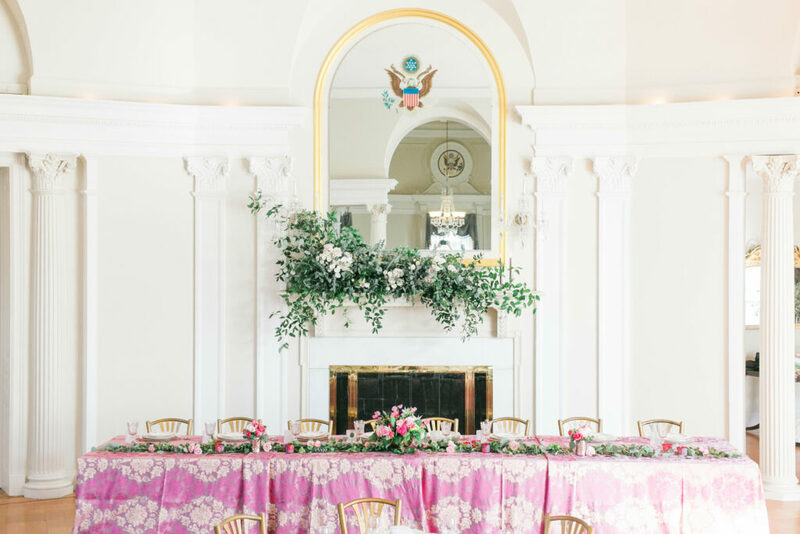 The mantle is perfect for floral installations. 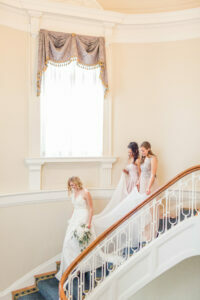 With this orientation, the couple will enter from the double imperial staircase and walk directly down the aisle. And if the family chooses to use the Steinway piano, this is the perfect floorplan to take full advantage of the music and the acoustics in the tall ceiling. 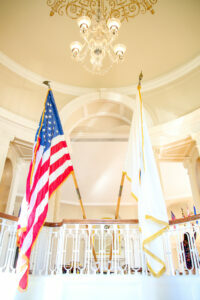 Guests will face the top of the stairway facing the original Waterford chandelier and crest of the US Capitol. 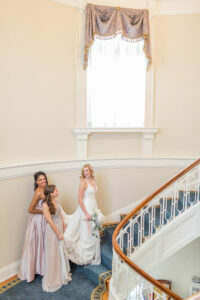 This option uses the architectural features as the backdrop for stunning photos. 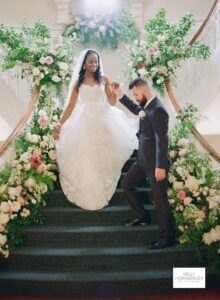 Once the ceremony is complete, guests can move downstairs for the cocktail hour. Purple Onion will set the room for the dinner reception and the DJ will get the music ready. 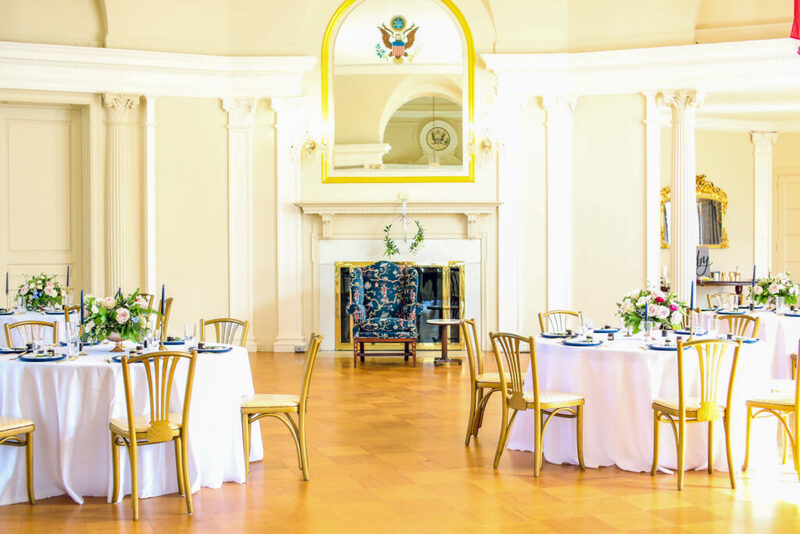 The first floor reception rooms are perfect for the cocktail hour, whether the ceremony is held in the ballroom or guests are arriving at the Congressional Club after vows at another location. 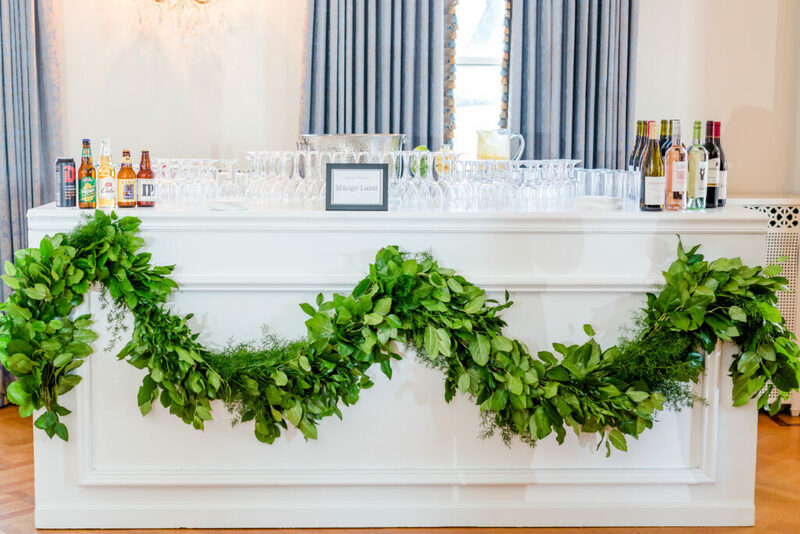 Typically, the bar is set up in the Hawaiian room. 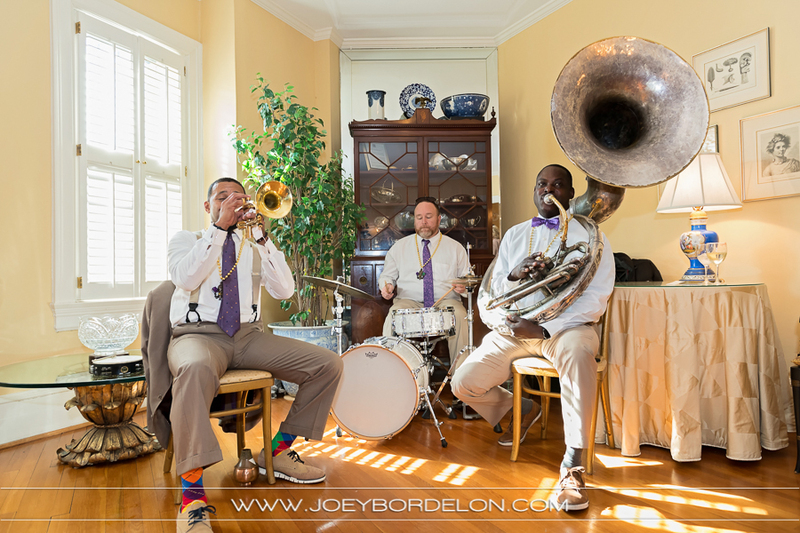 Some couples choose to have a musical trio in the opposite corner. 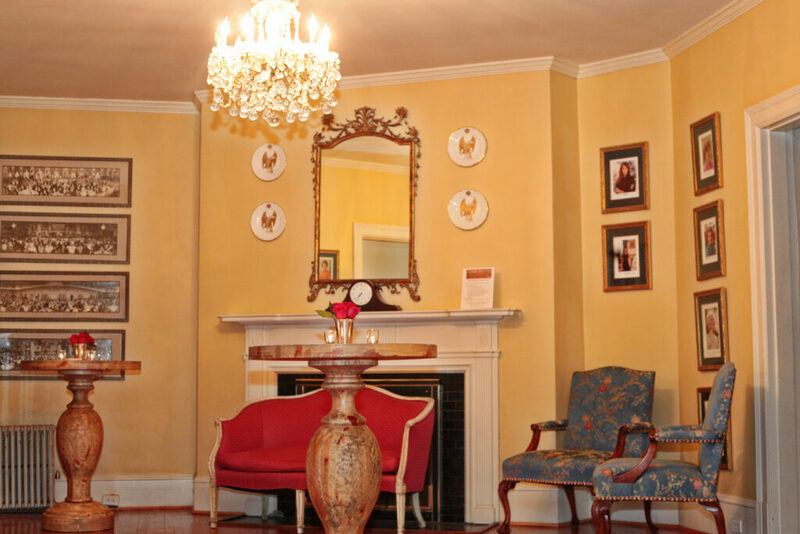 Guest can move throughout the first floor, enjoying passed hors oeuvres. 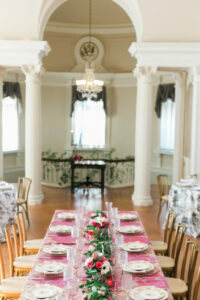 The Ballroom can accommodate 200 guests seated in rounds, with a small dance floor. Below are suggested layouts. 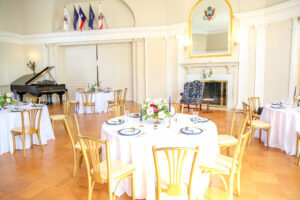 The alcove room is perfect for a bar set up and tables can be broken down to expand the dance floor. 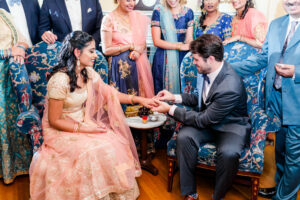 A recent celebration was an engagement ceremony in the First Ladies Room. 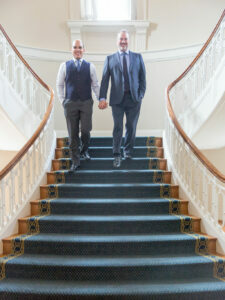 For couples looking for a very intimate or casual ceremony, the first floor reception rooms could be a great option. Cocktail Hour is everyone’s favorite part of the meal, let’s all just admit it. Use the full space for all six hours! 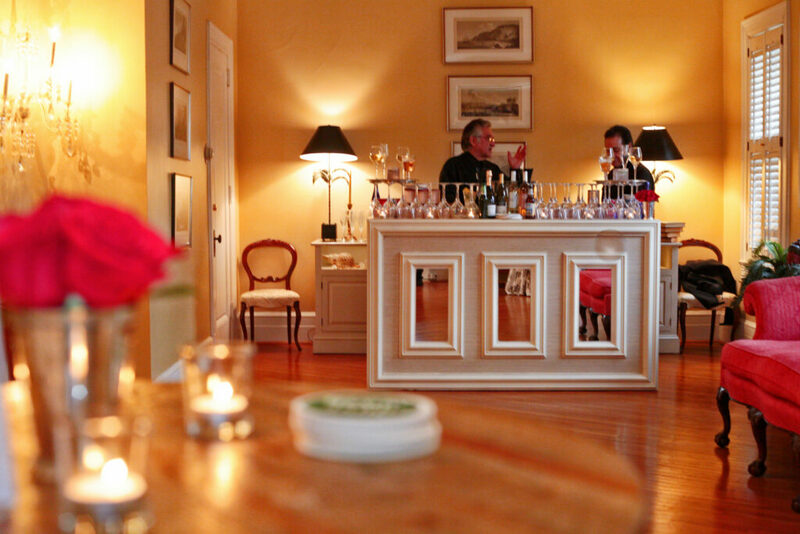 Tons of passed hors d’oeuvres, fun food stations, a bar downstairs and a bar upstairs. 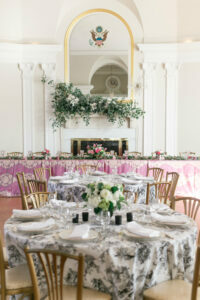 Seating throughout, with an oversized dance floor in the ballroom! 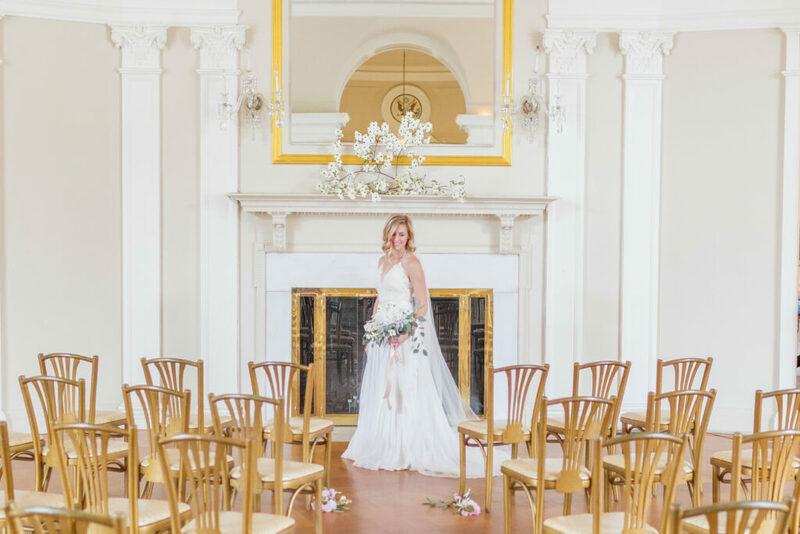 The McNeese Thomas Group is a full-service event and venue management provider known for their signature energy, professional contacts and tireless commitment to quality and customer service.